Have You Thought Of Taking A Break From Drinking? Do your find yourself looking forward to a daily glass of wine? Does that glass often lead to another? And sometimes even another? 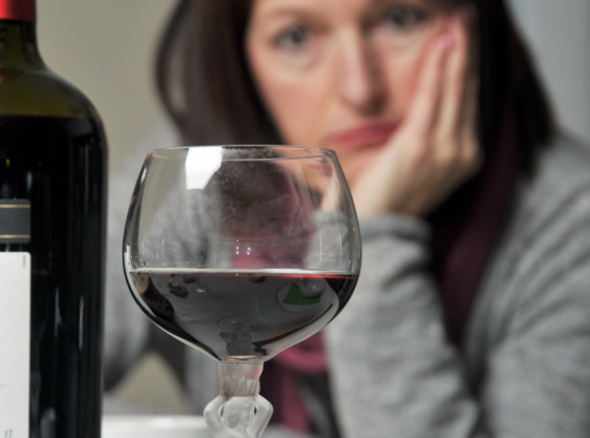 More and more of my female clients are concerned about their alcohol habits. 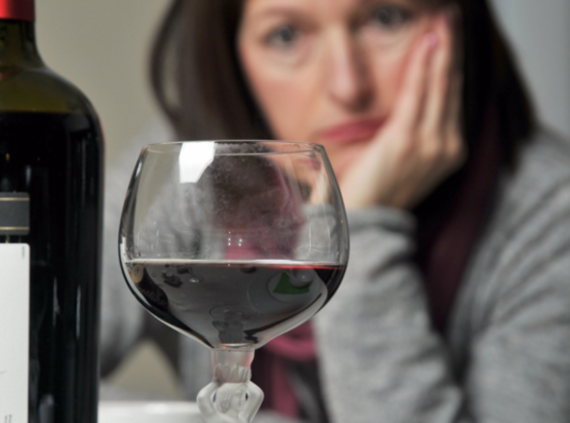 If you are drinking alcohol every day, you may want to explore why this is happening. Are you using it as a stress reliever? Do you prefer to drink rather than eat? Does it help you relax socially? Do you feel it is your "treat" that you deserve after a long day? Well, you do indeed deserve a treat, but that glass wine is going to feel really great for a few hours and then may feel really awful for the rest of the night. And that one glass may easily turn into two or three glasses of wine that may turn into five or six bottles of wine each week. So what is the answer? Maybe a treat is a few moments alone with a cup of hot tea. Maybe it is a massage. Maybe a treat is a warm bath, a stupid magazine, a call to someone special, a nap, reading, or five minutes of meditation. When we tap into what we really NEED, that treat is often something completely non-food related. Lately, I have been seeing many clients that crave wine every evening before dinner. At first, they think it is about the wine but, for many, they are actually hungry and have gotten in the habit of drinking wine before eating food. When they start eating food instead of drinking wine at that time, the craving tends to disappear. Are you finding it hard to limit yourself in social situations? If your underage child was at a party and was given a drink, what would you HOPE that he/she would say? Hopefully your answer is, NO. If you would expect your child to be able to say it, why can't you say no to a drink? No judgment, just notice. Fill a wine or martini glass with sparkling water and a lemon, and no one will ever suspect anything. Then there are the useful excuses you can try: I'm on antibiotics and can't drink, Or, I don't drink during the week. Or, I have a big day tomorrow. Ultimately, you're the only one in charge of what you consume, and you're the only one who will feel and endure the after effects of all you drink. It's good to feel good -- and you deserve to feel good in a very different way than you deserve a drink. Keep in mind that every glass of wine is like eating a small dessert. Would you eat three desserts with dinner every night? I don't think so. Taking a break from alcohol every so often is a great idea. You may lose a few pounds. You may sleep better. You may think more clearly. You may just feel better. I honestly don't know how you will feel, but I do know that it is better than you feel right now. And, with all that money you will save, a massage just might make you forget about that craving completely! Learn more about Lisa Lewtan's upcoming Online Group Program LOSE THE BOOZE: A 10-Day No Alcohol Challenge for Social Drinkers starting June 1st HERE.